What Do the Lock Grades Mean? 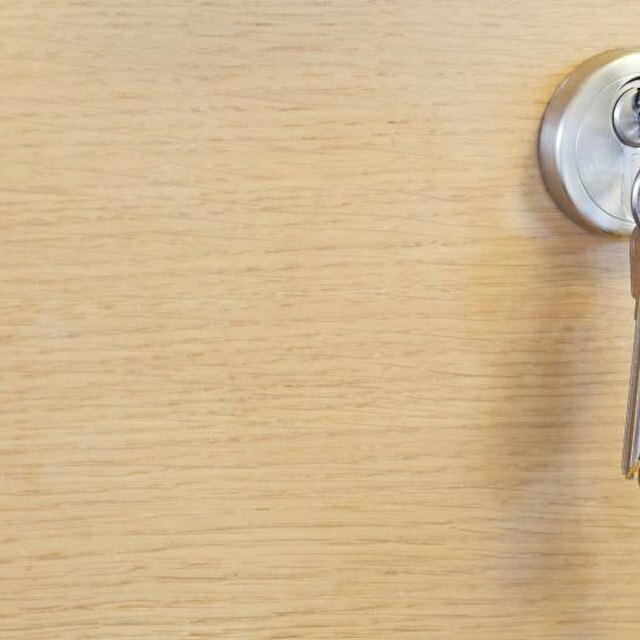 Locks come in different grades, indicating their level of trustworthiness for home and personal security. Grade one locks are the strongest and grade three locks the weakest. Prices increase proportionally to the strength of the lock grade, so tailor your purchase to your needs. This lock guards nothing, a classic rookie mistake. Grade one locks can withstand at least 1 million opening and closing cycles. Grades two and three are tested for up to 800,000 opening and closing cycles. Grade one latch bolts project 3/4 of an inch from the door, and grade one deadbolts project 1 inch from the door. Grades two and three latch bolts project 1/2 inch, while grades two and three deadbolts project 5/8th of an inch. Grade one locks can withstand 10 blows of 75 foot-pounds to the knob. Grade two locks can withstand five blows of 75 ft-lbs. Grade three locks can withstand two blows of 75ft-lbs. Grade one locks can withstand at least two blows from 60, 90, 120, or 150 ft-lbs. Grade two locks can withstand at least two blows from 60, 90, or 120 ft-lbs. Grade three locks can withstand at least two blows from 60 or 90 ft-lbs. All grades of deadbolts can withstand at least five minutes of sawing and 600 lbs. of bolt-end pressure. All grades of latch bolts can withstand at least 360 lbs. of bolt-end pressure. Emma Green holds a Bachelor of Arts in English and was the editor of her college's literary journal. During graduate school, she helped establish a student organization that focused on philosophy and literary theory, and she has written for both eHow and Answerbag.